Interesting information from Knight Frank showing another emerging trend for retail tenancies. I suspect it will be echoed with the "hard facts" in our soon to be released "strip shopping" report focussing on some popular Melbourne and Sydney shopping strips. 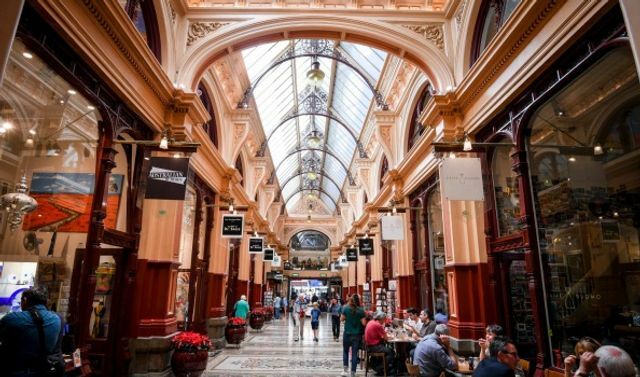 Melbourne’s famed shopping arcades are straining under the growth of online retail, with vacancies soaring to a ten-year high. In contrast with the city’s shopping centres, which have pushed their vacancy rate below 1 per cent for the first time ever, arcades such as Centreway Arcade, Tivoli Arcade and Mid City Arcade have suffered a rise as custom for fashion and giftwares – their traditional core – has been sucked online, Knight Frank’s latest CBD retail survey shows. The struggle facing arcades echoes the loss of business felt by the city’s once-bustling suburban retail strips. Disruption to traditional retail from ecommerce is hardly new. US giant Amazon’s imminent arrival in Australia is casting a cloud over the future of listed mall owners Westfield Corp, Scentre Group and Vicinity Centres.